Players match dice with cards to get rid of their cards. It is fast and furious as all are playing at once. Speed is important, but if you match incorrectly, you gain extra cards. 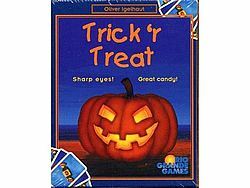 A great party game with a halloween theme.